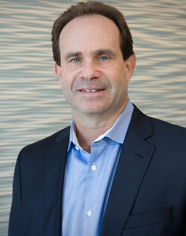 Jeff Berman is the Managing Partner with KBST&M, and has been with the firm since 1987. Since the beginning of his public accounting career, Jeff has developed specialized expertise in small business tax and accounting. In an arena beholden to ever-changing laws and regulations, through advising small business owners on their tax and accounting needs, Jeff helps local companies thrive. He serves many clients in various industries, including professional services, real estate, manufacturing, contracting, and mortgage lending. Jeff holds a Bachelor of Science degree in Accounting from the University of Maryland, and a Master’s Degree in Taxation from the University of Baltimore. He previously held the role of Treasurer for the Financial Planners Association.